Spear Winery & Vineyard view from the vineyard, photo by Blakeney Sanford. 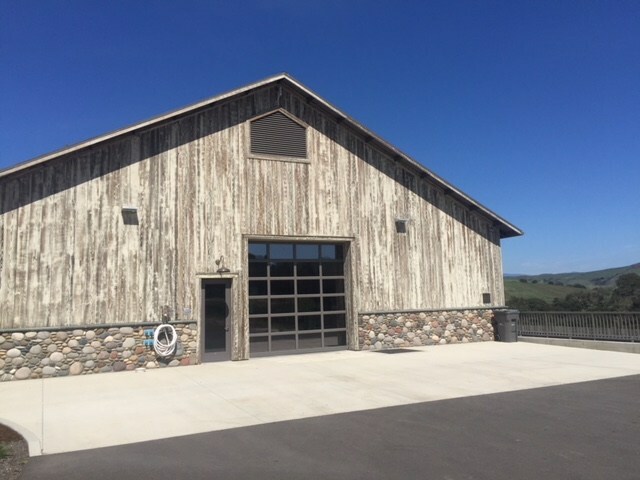 Created within the footprint and roofline of the original Domingos Dairy Barn built in the 1920’s, stepping into Spear Vineyards & Winery‘s brand new winery and hospitality center feels like you’re stepping back into the history of the property and the soil itself. Spear Winery Owner & Vigneron Ofer Shepher at harvest time, photo by Bottle Branding. Last week’s vineyard tour and tasting and was quite a treat. Guided by Vigneron Ofer Shepher, who first planted his Spear Vineyards vines in the Sta. 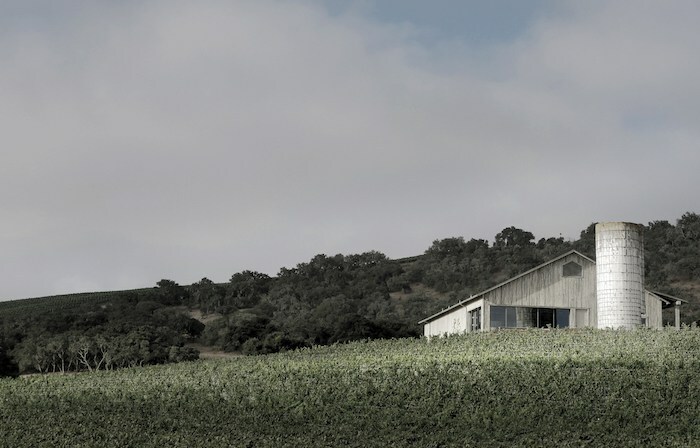 Rita Hills appellation 2014, with 33 organically farmed acres along the Hwy. 246 corridor, the property—which overlooks Buellton and Lompoc, and is about 1,000 acres in total, mostly inhabited by Black Angus Cattle and cows—is nothing short of stunning. Weekend camping trips to the Santa Ynez Valley first sparked Shepher’s keen interest in wine and winemaking and propelled his 2005 move and eventual lease of the historic Gnesa Ranch next door to the Spear property. 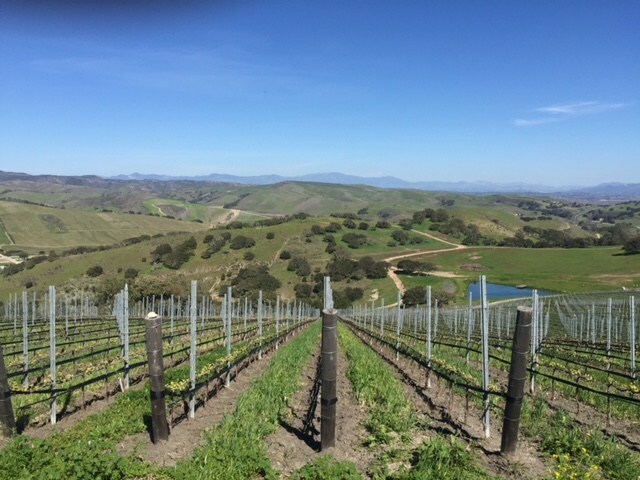 Spear Winery’s Vineyard view, photo by Leslie Dinaberg. He minored in agricultural mechanics in college, and despite a long career in the medical device industry, he’s always remained interested in agriculture. Shepher says that he spent childhood summers in Israel, working on the kibbutz his mother grew up on and learning about farming. 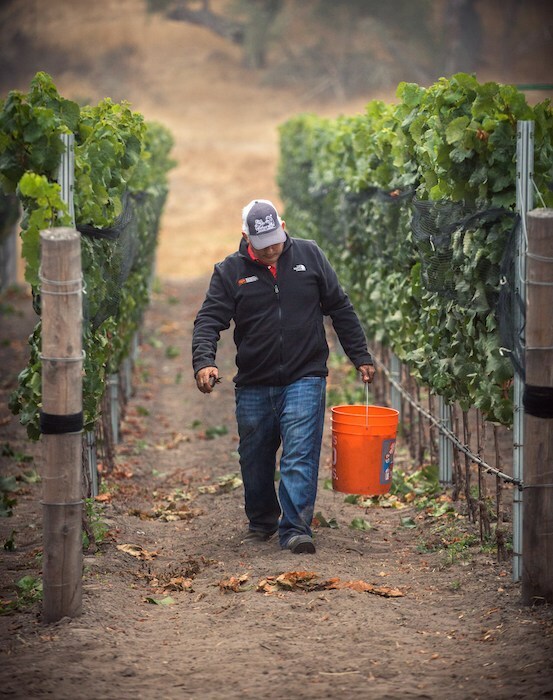 Gnesa Ranch sold grapes exclusively to Brewer-Clifton Wines, until 2014. 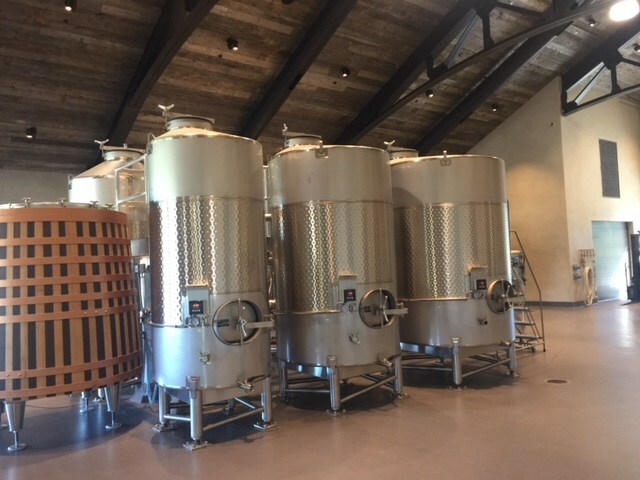 When it came time to develop Spear, Shepher hired the renowned Greg Brewer as consulting winemaker and they worked closely together to plant the vineyards and design the wine production facility, a gravity-based system devised to minimize damage to the fruit. Spear Winery Winemaker Kat Gaffney, courtesy photo. 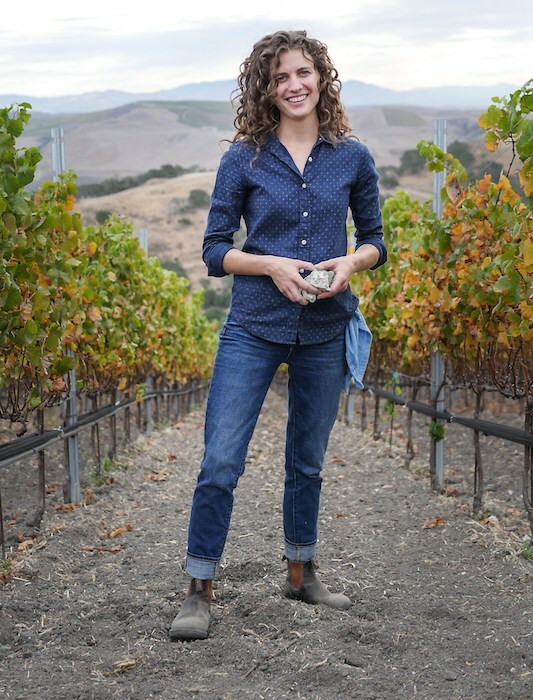 Mentored by Brewer, who hired her as Associate Winemaker, Kathleen “Kat” Gaffney was promoted to Winemaker in January after spending the last several years working at notable California wineries between harvests in Oregon and New Zealand. Dedicated to sustainability, the winery’s in-house farmed, viticulture practices don’t use inorganic fertilizers, pesticides or herbicides. Both Gaffney and Shepher say the goal at Spear is to let the grapes and vineyard shine, making wine that is a true reflection of the place those grapes come from. 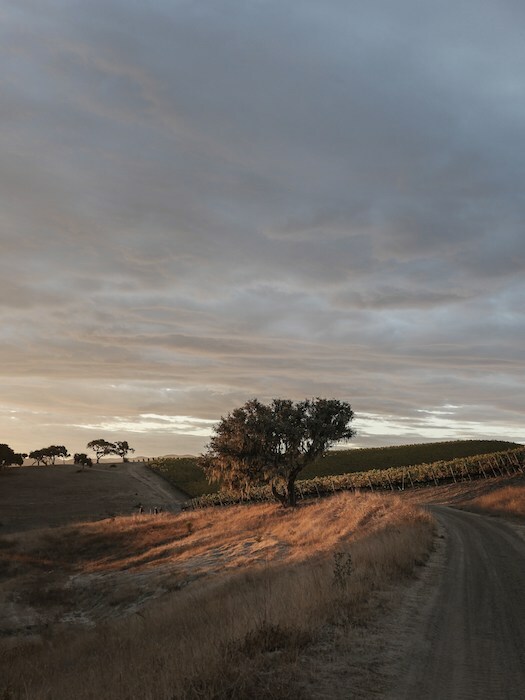 Spear Winery & Vineyard at sunrise, photo by Blakeney Sanford. 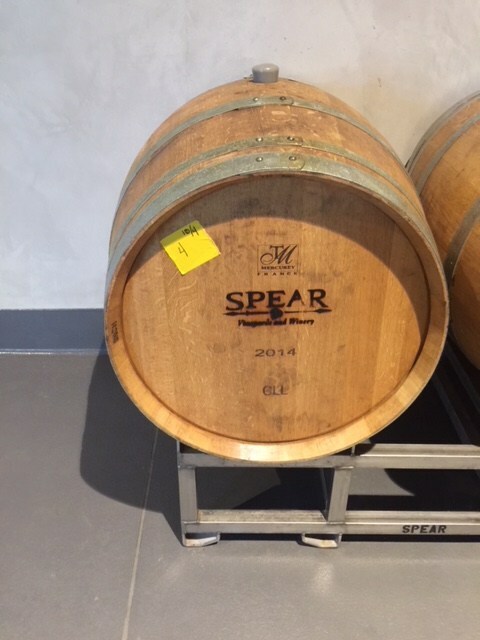 Spear—which is the Americanized version of “Shepher”—released its debut vintage in the fall and currently produces Chardonnay, Pinot Noir and Syrah. 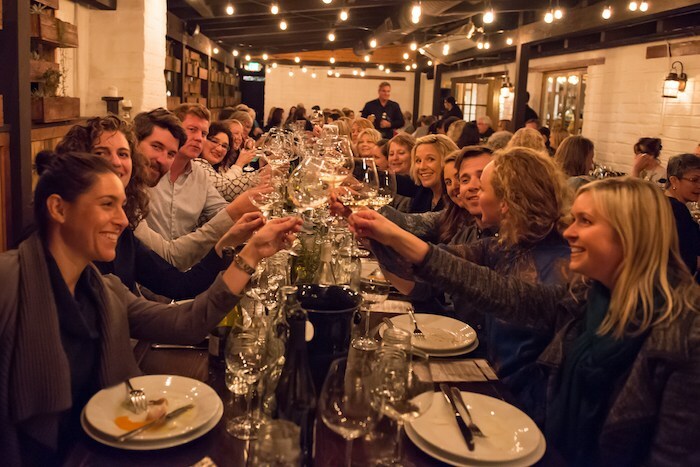 The 2016 Spear Estate Chardonnay is a perfect ode to spring. With 15 acres planted to Pinot Noir, the winery’s first vintage, the 2016 Spear Estate Pinot Noir is a lovely expression of the famed Sta. Rita Hills appellation. We also enjoyed the classic cool climate 2016 Spear Estate Syrah. Grüner Veltliner (an ode to Shepher’s German ancestry) and Grenache Noir are also planted, so look for those wines sometime in the future as well. 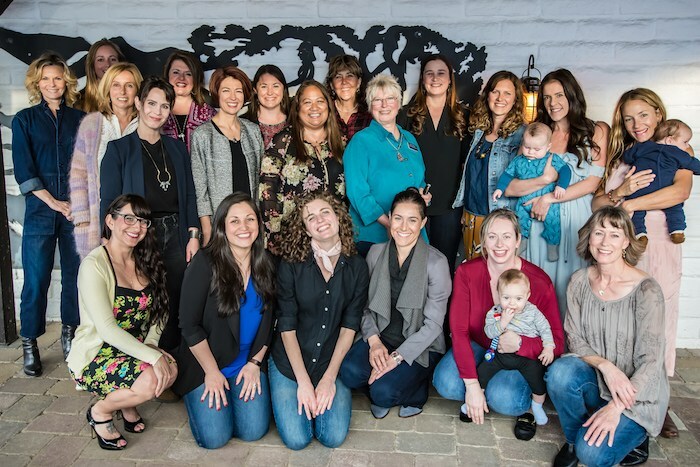 Inside Spear Winery, photo by Leslie Dinaberg. Vineyard tours and tastings at Spear are offered by appointment only, to truly offer a unique soil to glass experience. “We want to offer a real vineyard tasting experience,” says Shepher. Vineyard tastings and winery visits are available daily, from 11 a.m. to 5 p.m., by appointment only. 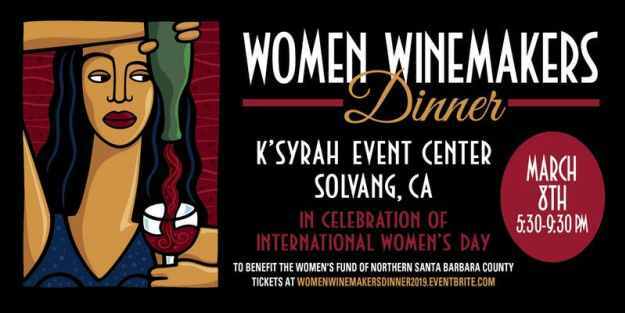 To make a reservation, call 805/737-1829, email visit@spearwinery.com or book online with this link. 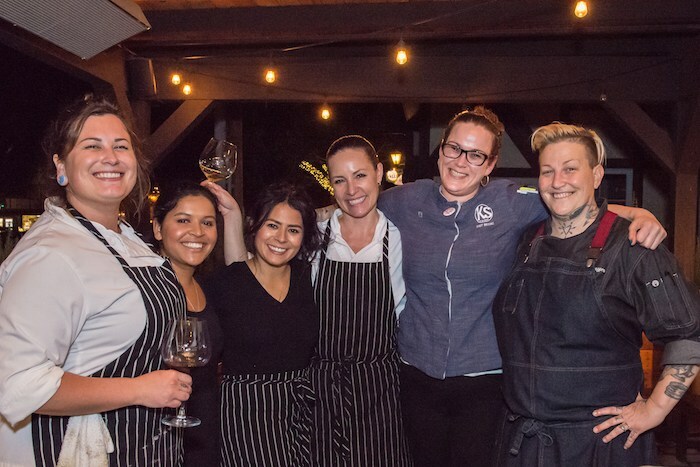 In addition, Spear is now offering a limited number of wine club memberships. For more information, click here. Wine barrel inside Spear Winery, photo by Leslie Dinaberg. Spear Winery, back view, photo by Leslie Dinaberg. Spear Winery & Vineyard view from the driveway, photo by Blakeney Sanford. Originally published in Santa Barbara Seasons on April 6, 2018.